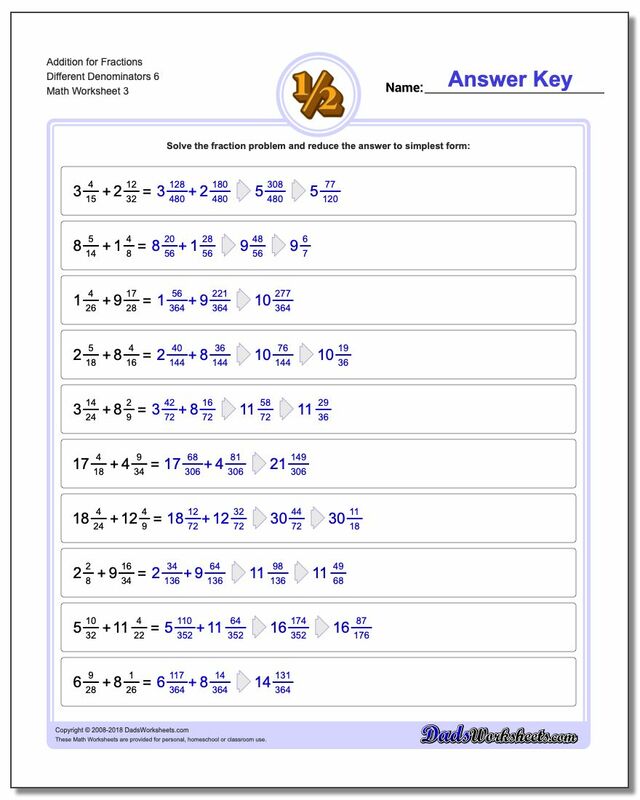 These worksheets worksheets have practice problems for adding fractions with unlike denominators.. 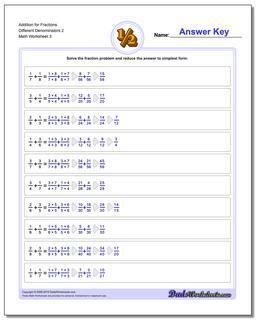 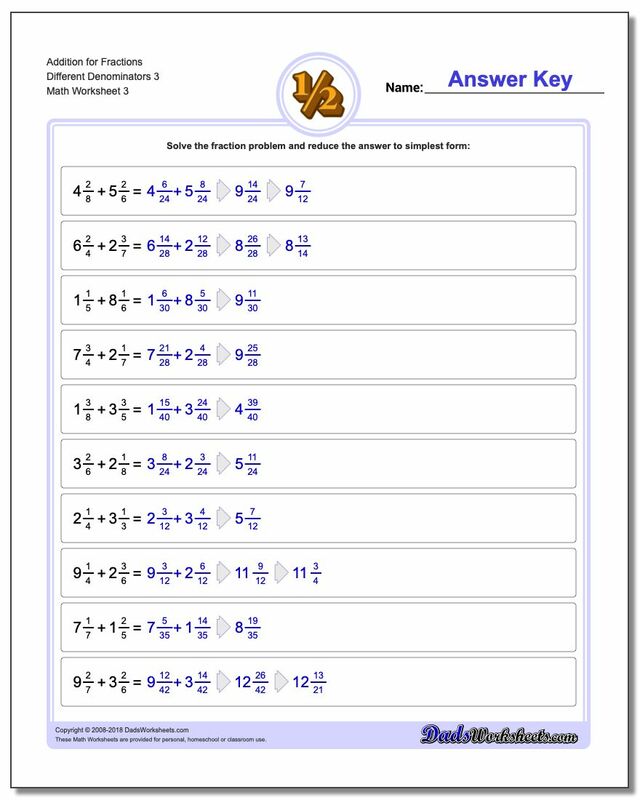 This is the first series of worksheets that deal with unlike denominators. 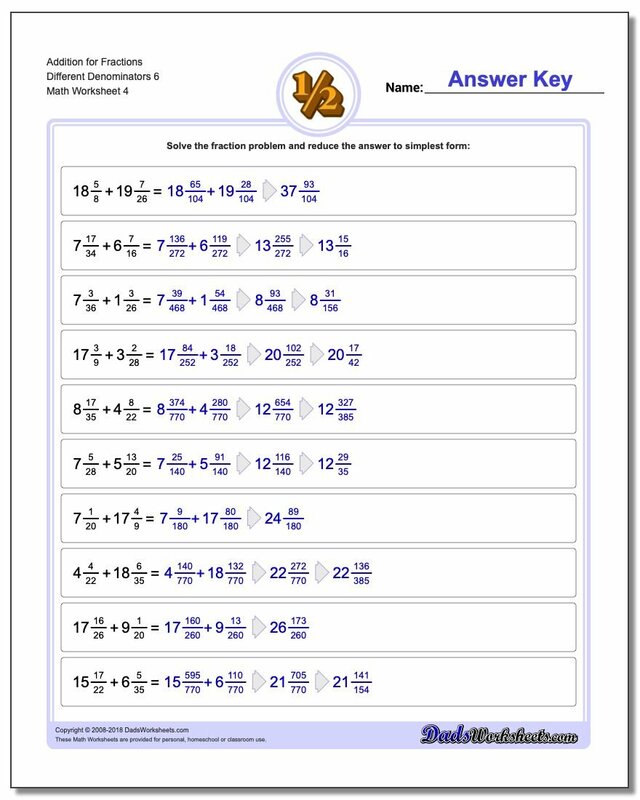 These worksheets require students to find a common denominator so that the numerators may be combined and then the answer reduced to final form. 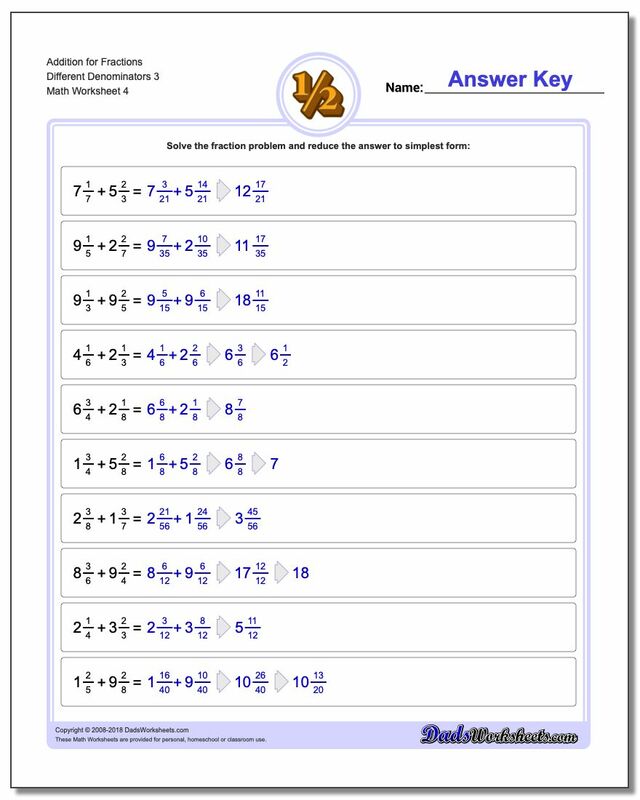 The worksheets in this series avoid mixed numbers to introduce the skills needed to add with different denominators and reduce the answers. 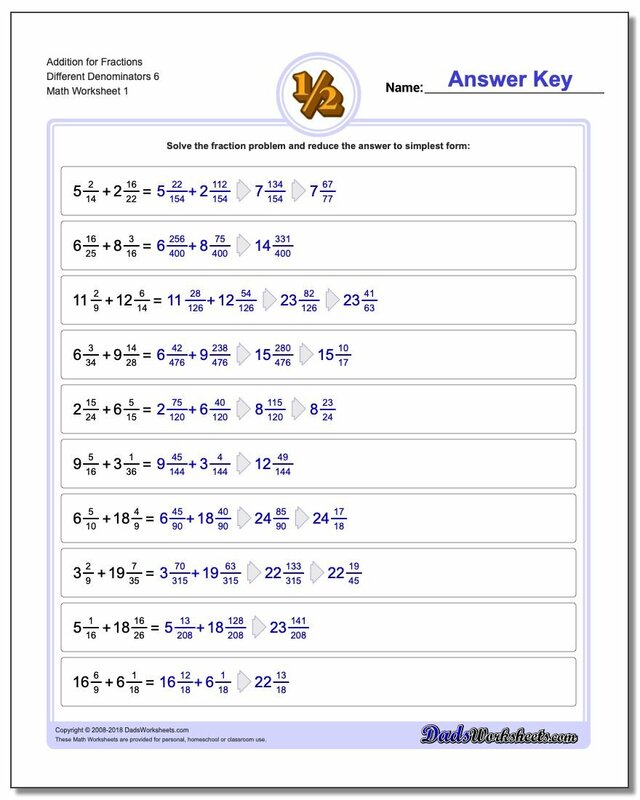 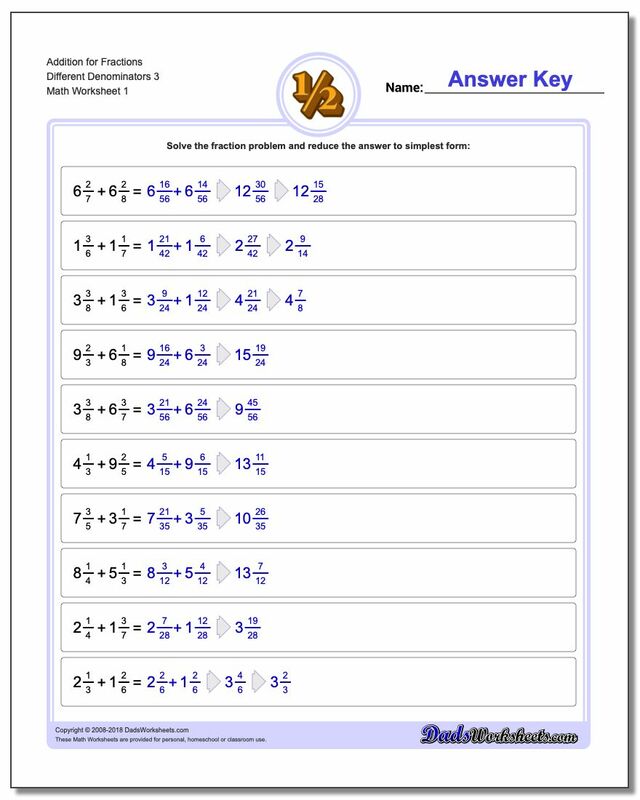 If you need more help, please use the Adding Fractions Calculator to try examples.